The insanely rapid growth of the chart shows how the tech race in Bitcoin mining has heated up recently. As of this writing, there are computers around the world performing about 6, 900, 000, 000, 000, 000 hash operations per second. 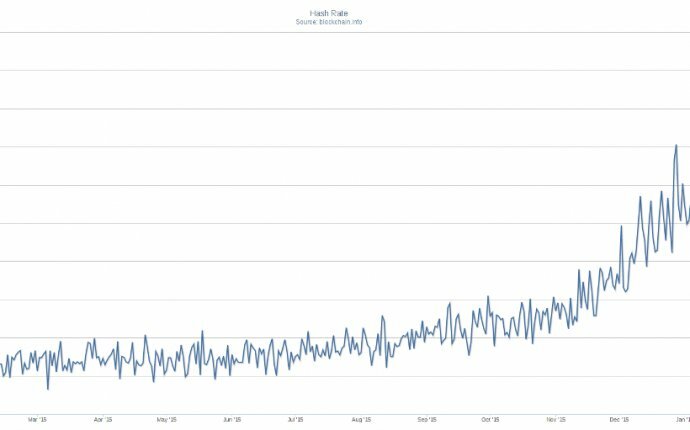 This is about a ten-fold increase in computing power dedicated to Bitcoin mining since September, and about a 275-fold increase from the start of 2013.